The businesses in this category have dedicated a significant portion of their work to ensure that veterans, military service members, and their families have a number of diverse resources and opportunities available to them. These companies recognize the challenges that veterans face during the transition into civilian life, and as such, have created impactful and purposeful programs that provide a benefit to the veteran community. The individuals selected for this category are those that led the charge for these companies in 2017, promoting veteran-specific initiatives that aim to highlight the skills, leadership and experiences of the veteran community. 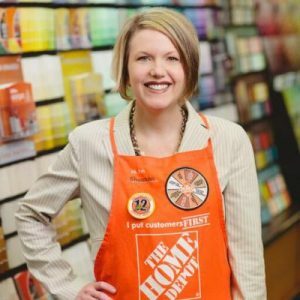 Shannon has led The Home Depot Foundation (THDF) in their continued quest to ensure every veteran has a safe place to call home. This year THDF marched closer to their current goal of giving a quarter of a billion dollars to veterans housing organizations and projects by 2020 having already invested over $225 million since launching the effort in 2011. This year was marked by an incredible investment in disaster relief efforts after the devastating hurricanes across the U.S. south and Caribbean. As long time partners with Team Rubicon, THDF gave millions of dollars to TR and provided several thousands of associate volunteers to work in Texas, Puerto Rico and Florida to assist in the recovery of our communities alongside their veteran partners. The Home Depot supported the HillVets team with supplies and planning for their ten days of recovery efforts in Houston, Texas following Hurricane Harvey. As Head of Military and Veterans Affairs, Vivian was instrumental in creating, developing, and launching First Data’s multi-faceted military community programming. In almost four years of existence, First Data Salutes has earned numerous awards and accolades for its outstanding impact on veterans, National Guard and Reserve members, military spouses, and their military families, including being the #1 Employer by Military Times, Disabled American Veterans’ 2016 Outstanding Large Employer of the year, and #3 on DiversityInc’s annual list of Top Companies for Veterans. In less than two years, under Vivian’s direction, the number of veteran and military spouse new hires at First Data grew by 10 percent. 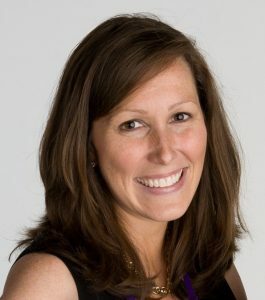 Vivian’s most recent accomplishment was leveraging the success of First Data’s military community programming and turning it into a global Corporate Citizenship program, the first of its kind at First Data. In addition to the work that Vivian has done within First Data, she is also a subject matter expert and thought leader within the veteran community at large. Vivian was a founding member of Blue Star Families, serves on the Virginia Military Advisory Council, the Board of Directors for the University of Georgia’s Alumni Association and Dog Tag Inc.
After serving in the United States Marine Corps, Eric began his career in Silicon Valley as a Public Relations Director in the high tech field. Eric has worked for veteran brands like Gruntstyle, Bunker Labs, Lift For The 22 and Combat Flip Flops. Eric L. Mitchell went on to found LifeFlip Media, one of America’s leading advocates for veteran entrepreneurs. 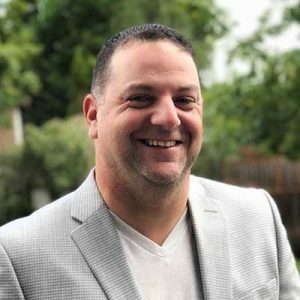 His communications firm focuses on supporting and growing veteran owned organizations by using modern digital public relation tactics, inbound marketing strategies, and his extensive network of mainstream media outlets. Since launching his firm, Eric has been named one of Huffington Post’s “Top 20 Veteran Entrepreneurs in 2017” and continues his mission to advocate for our brave men and women that have served or continue to serve the United States military. Dave Gaulin is the Director of Military and Veteran Affairs for Comcast NBCUniversal. In this role, he works collaboratively across Comcast NBCUniversal to provide operational leadership to all aspects of programs and employee engagement in the military and veteran community, including recruiting, hiring and building talent at all levels of the organization. Dave’s work to support Comcast NBCUniversal’s employees who serve in the National Guard and Reserve has helped hundreds of individuals to balance serving their community and nation while continuing their civilian careers. He was instrumental in the development of a human resources concierge service and industry-leading paid time-off policies–efforts that contributed to Comcast NBCUniversal receiving the 2017 Secretary of Defense Employer Support Freedom Award from the Department of Defense. Dave has built partnerships to help recruit and support diverse military community members, including LGBT veterans and military spouses. 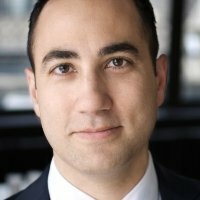 A noted leader in military community hiring, Dave developed Unique Veteran Employment Strategies, a panel which will be featured as part of the South by Southwest (SXSW) conference in Austin, Texas this March. Dave previously served as a pilot in both the US Air Force and Air National Guard and continues to serve as a Major in the Air Force Reserve. He was named a 2017 Veteran of Influence by the Philadelphia Business Journal. David Jansen is the U.S. Advisory leader of PwC’s Private Companies practice, advising privately held and family-owned corporations on globalization, mergers and acquisitions, growth, and innovation. His significant experience stems from an international career and clients in London, Tokyo, the Middle East and New York. David has advised various heads of state in the Americas, Middle East and Persian Gulf, including former U.S. President William J. Clinton. 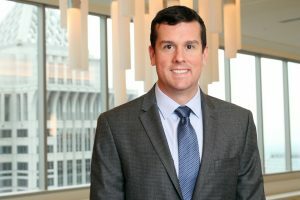 In addition to client responsibilities, David devotes significant effort to diversity recruiting for PwC’s U.S. Advisory business where he was specific responsibility for both LGBTQ and military veteran recruitment. He serves on the board of several non-profit institutions and has been the corporate liaison for PwC to Student Veterans of America. As a reflection of his efforts to recruit and retain military members, PwC was named a Top 20 Most Military Friendly company this year by Military Times. 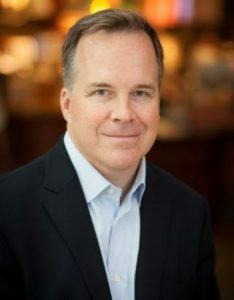 John Kelly is senior vice president of Global Public Affairs & Social Impact at Starbucks where he oversees the development and execution of Starbucks strategies for global communication, reputation management, corporate social responsibility, community investments and public policy. 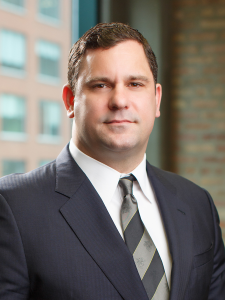 His responsibilities include media relations, integrated brand marketing and product launches, executive thought leadership, partner communications, social impact initiatives, ethical sourcing, sustainability, and government affairs for all brands across all business units and geographic regions. He is a passionate advocate for the Starbucks social impact agenda and the company’s 330,000 partners. In 2013 after joining Starbucks, John created, developed, and launched the Starbucks Veteran and Military Spouse Hiring Initiative, which set a five-year goal for Starbucks to hire 10,000 veterans and military spouses by 2018. In addition, John oversaw media campaigns to accurately and responsibly portray veterans as community leaders and valuable members of the Starbucks brand. John sits on the boards of the National Points of Light Foundation, the Nature Conservancy Business Council, and the Starbucks Foundation. A graduate of the United States Military Academy at West Point in 1994, Mr. Jones achieved the rank of Captain in the U.S. Army. Stationed in Germany with the First Armored Division, Mr. Jones deployed to Bosnia on two tours of service before retiring from the Army in 1999. Todd became BBMC President in January 2018. He has guided BBMC to become the ninth-largest VA lender in the nation in terms of Fully Documented Refinances. In 2016, BBMC helped 4,174 military families improve their financial situation. Mr. Jones helped BBMC launch the Patriot’s Charity Initiative in 2015. For each new loan closed by BBMC, each client can choose to direct $150 to one of four Veteran Service Organization partners. In 2017, BBMC’s Patriot’s Charity Initiative raised over $2 million to help address veteran homelessness, employment issues, mental health awareness and suicide prevention, and many more issues unique to the service member and their family. Team Rubicon, The Mission Continues, Headstrong and the USO have all been part of BBMC’s Patriot Charity Initiative.